Who knew he had such power? Tiger Woods cost shareholders $12 billion in market value. STEC Inc. (STEC) has gone up 10 days in a row (disclosure: I own it). Barron's has some idea of what is going on with the company. Jim Grant, pundit extraordinaire, says let the good times roll. ___________Very interesting take from the Guru Investor on how this decade wasn't as bad on the stock market as many think -- not really a lost decade after all. Love the Microcap Speculator's screen of interesting charts for microcap stocks. I'm a believer in short squeezes and here is an intriguing list of potential short squeezes. Is now the time to invest in India? Tech Crunch has the top 10 IPO candidates for 2010. I agree with most of the list but probably art.com should be on there, too. This has nothing to do with stocks. But this fan-made trailer for a movie that will never exist (Green Lantern) is pretty cool. It makes the non-existent movie seem like a must-see. 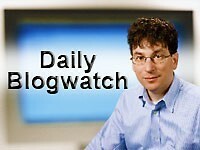 Meet James Altucher at The World Money Show Orlando, February 3-6, 2010 at the Gaylord Palms Resort.